It is not a secret that nuclear radiation is dangerous. Not only does it cause cancer, even seemingly small amounts of the stuff can be lethal. Exposure to high enough levels can be deadly in frighteningly short period of time. But for the survivors of the Fukushima disaster, and those living in surrounding areas, radiation and cancer aren’t the only health concerns. New research has shown that in communities nearest the power plant, cases of type 2 diabetes are on the rise. Researchers have been analyzing the secondary health effects of the nuclear disaster, which took place seven year ago now. Dr. Masaharu Tsubokura, from the Department of Radiation Protection at Minamisoma Municipal General Hospital in Fukushima, has been working alongside other researchers to better understand the full scope of Fukushima’s health consequences. Their findings indicate both an increase in the number of cases, and a rise in severity of, health conditions like diabetes, high blood pressure, obesity and depression. Dr. Tsubokura says that the social disruption caused by the evacuation has played and under-reported role on public health. As the research reveals, the elderly in particular have been hardest hit by the disaster – especially when it comes to diabetes. In the wake of Fukushima, “diabetes trumps radiation as a threat to life expectancy by a factor of 33,” souces say. This is not to say that diabetes is more dangerous than radiation – but the finding shows that the number of people being affected by diabetes post-disaster is surprising high. 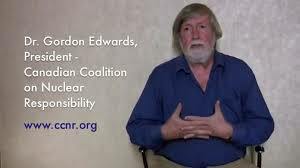 The risk of type 2 diabetes, and poor diabetes management, as an indirect effect of the nuclear spill is substantial……….. Some research from Ukraine has documented a staggering increase in cases of diabetes and other non-cancer endocrine disorders. Even 30 years after the Chernobyl power plant incident, increased cases of diabetes and other conditions in survivors are still being documented. Scientists from the Ukraine reported in 2017 that levels of diabetes in radiation-exposed survivors ( Including site clean-up workers) remain noticeably higher than the rest of the population. This finding could raise questions about the purported increase of diabetes in Fukushima survivors. While scientists say that this increase is due to the massive social disruption caused by the evacuation , one might wonder if there’s more to it than that. As the Ukrainian scientists note, research has shown that the endocrine system may be more affected by exposure to radiation than previously thought. With strong solidarity with the Japanese Anti-Nuclear movement including every Friday evening Anti-Nuclear Power demo in front of the Prime Minister’s residence and the Diat in Tokyo, we, Japanese Against Nuclear-UK and CND are planning to organise the monthly vigil and leafleting including Statement-Read-Out to Japanese Prime Minster and TEPCO on 28th Sept 2018. Our Friday action in front of the Japanese Embassy starts from 10:30 AM and Read-Out of the statement from 11:30 AM. After handing in a copy of the statement to the Embassy, we wll move onto the TEPCO office. ( 14-18 Holborn near Chancery Lane Tube station). There will be vigil/leafleting and Statement Read-Out to TEPCO. A copy of the statement will be posted to the TEPCO HQ in Tokyo. On Sunday the 27 April 2013 in a little room somewhere off Grays Inn road London, a meeting took place. In this meeting was Ms Tamara Krasitskava of the Ukrainian NGO “Zemlyaki”. * A draft movie report from Chernobyl Day meeting is now ready. It’s a speech by Tamara Krasitskava from Ukraine. She is a chairperson of Zemlyaki, Ukraine NGO in Kiev to represent evacuees from Pripyat city. * Speech was done by Russian, and interpreted into English. * Chernobyl Day London Public Meeting was organized by “JAN UK” on Sat 27 April 2013. * The nuclear accident happened on Saturday 26 April 1986, 1:23am. It was, for the most of he residents, midnight of Friday 25 April. Congress has moved to block an effort to weaken a federal board that oversees worker and public safety at nuclear facilities, adding language to an appropriations bill to prevent the agency from altering the board’s structure. The bill also requires the Energy Department to answer questions from Congress about its recent attempts to limit the board’s access to information and change how the panel conducts its work. The language protecting the board was introduced by New Mexico Sens. Martin Heinrich and Tom Udall, Democrats who have decried the Energy Department’s push to impose staff cuts and other changes on the Defense Nuclear Facilities Safety Board. Established in 1988, the board reviews incidents and near-misses at the nation’s nuclear complexes, as well as providing safety recommendations and advice to the energy secretary. Three of the 14 nuclear facilities under the board’s jurisdiction — Los Alamos National Laboratory, Sandia National Laboratories and the Waste Isolation Pilot Plant — are in New Mexico. Beyond an effort outlined by the Republican chair of the board to cut the agency’s staff, in mid-May the Energy Department published an order that, in the view of other members of the panel, substantially diminished its ability to perform its oversight role. The order, which was first reported on by the New Mexican and ProPublica, prevents board members from accessing sensitive information, imposes additional legal hurdles on staffers, and mandates that Energy Department officials speak “with one voice” in communicating with the board. The Energy Department has said the May order is simply intended to clarify roles and responsibilities and to decrease costs, and is a necessary update to a manual relied on to guide the relationship between the department and the safety board since 2001. Officials said these actions were taken as part as President Donald Trump’s 2017 executive order to trim regulations. But while the for-profit contractors that run the Energy Department’s nuclear sites were consulted on the changes, the board said they were given no formal input on them. Board members also have said the order would inhibit their ability to do key parts of their job, potentially violating the statute under which the board was created. The board said it had no comment on the move by Congress to stall the changes. In a joint statement, Heinrich and Udall said the provisions they had added to the appropriations bill demonstrated “that Congress shares the widespread concerns about DOE’s information sharing order,” adding that, in their view, the order should be halted. “We will continue to work to make sure that the DNFSB has the resources, support, and independence necessary to carry out the complex and extremely serious work that the board does,” they said. Congress’ steps to shield the board will become official if Trump signs the Energy and Water Appropriations Act of 2019, the bill to which Heinrich and Udall’s provisions were added. Since the 1980s, the safety board has had largely unrestricted access to nuclear facilities around the country in order to make informed recommendations intended to prevent catastrophic nuclear accidents and harm to workers. The board’s reports are public, making it one of the rare windows into the Energy Department’s riskiest nuclear work. But since the Energy Department’s May order came into effect, the board has been prevented from accessing some of the information its reports rely on, including a worker complaint at Los Alamos and other material from the facility. The order could also prevent the safety board from overseeing the Waste Isolation Pilot Plant, where nuclear waste is stored in underground salt mines. A 2014 accident at the plant exposed workers to radiation and became one of the Department of Energy’s most expensive accidents in history. Last month, at the first of three hearings held about the order, the board said the Energy Department failed to formally consult board members, workers or the public on the new restrictions. The board’s chairman also suggested the order could contradict the U.S. Atomic Energy Act, which grants the board wide latitude on information access. Our organization has come to the conclusion that these wastes did not exist seventy-five years ago. It’s only in the last 70 some years that these wastes have been produced, and there are thousands of human-made radioactive materials, in addition to the couple of dozen radioactive materials that exist in nature. There are naturally occurring radioactive materials, but the difference is most of the existing radioactive materials are different chemical species from the non-radioactive materials. You can separate them chemically. Uranium, thorium, radium and so on are different chemical species than normal non-radioactive atoms. In a nuclear power plant what you’re-creating is hundreds and hundreds of radioactive varieties of otherwise non-radioactive materials. Non-radioactive iodine is now contaminated with radioactive iodine. Non-radioactive cesium is contaminated with radioactive cesium—non-radioactive strontium and so on. And the result is that once these things are blended together, the radioactive and the non-radioactive, you can’t separate them anymore. It is an impossible task to separate out the radioactive from the non-radioactive once you have created duplicates of virtually every element in the periodic table of a radioactive variety. So we feel that for the foreseeable future, and that means for however long it takes, 100 years 200 years or more, we should not fool ourselves into thinking we have a solution. We should adopt a policy of rolling stewardship which means that we have to keep these things under constant surveillance, constant monitoring and they must be retrievable, and they must be guarded, and they must also have a built-in mechanism, a social mechanism, for ensuring that there is funding and knowledge and resources and tools available to future generations so that they can, in fact, know what these wastes are, that they can monitor them, and that they can take corrective measures when things start going wrong, and that they can improve the containment so that this is not just a status quo. This is not an idea of just leaving it where it is and ignoring it. On the contrary, it’s an active involvement, an active engagement to continually improve the storage of these materials because we know how to do this. We know how to store the materials in such a way that they do not get out into the environment, and we can do this for periods of decades or even centuries, depending on the circumstances. And by the way, it’s not only industry that wants to abandon the waste. It’s also the regulatory agency because the regulatory agency wants to also cut its liability. They don’t want to have to look after or be responsible for these wastes beyond a certain point in time. So they have a conflict of interest. Institutionally, they have an interest in abandoning the waste and saying it’s not our problem anymore. Any problems that are caused are your problem, not ours. Unfortunately, the people who are more likely to suffer the consequences of major leakage or major failure of containment will not have the resources or the knowledge. So abandonment actually presupposes amnesia. It means that you’re saying that we’re just going to forget it, and that means that when these things do come back to the surface, if they do, and do contaminate surface waters and food paths and so on, nobody knows anymore. It’s a question of rediscovering what these materials are, how we contain them, and so on. So we feel that rolling stewardship is a more responsible approach and that entails really admitting that we don’t have a solution, and admitting that we should stop producing the waste. One of the reasons why we continue to produce this waste is because we are continually being presented with a dangled carrot, with the idea that the solution is just around the corner, and that we’re working on the solution. As long as we’re working on the solution, how can you possibly object to us just continuing? A nuclear startup will fold after failing to deliver reactors that run on spent fuel, MIT Technology Review, James Temple, 25 Sept 18 Transatomic Power, an MIT spinout that drew wide attention and millions in funding, is shutting down almost two years after the firm backtracked on bold claims for its design of a molten-salt reactor. High hopes: The company, founded in 2011, plans to announce later today that it’s winding down. Transatomic had claimed its technology could generate electricity 75 times more efficiently than conventional light-water reactors, and run on their spent nuclear fuel. But in a white paper published in late 2016, it backed off the latter claim entirely and revised the 75 times figure to “more than twice,” a development first reported by MIT Technology Review……. The longer timeline and reduced performance advantage made it harder to raise the necessary additional funding, which was around $15 million. “We weren’t able to scale up the company rapidly enough to build a reactor in a reasonable time frame,” Dewan says. “We are in no rush. There’s no hurry. … We’ve made more progress than anybody’s made ever, frankly, with regard to North Korea,” he added. But that kind of talk has negatively impacted the push to have North Korea denuclearize, according to diplomats and experts. By praising Kim and saying there is no rush while North Korea has taken no concrete steps to dismantle its nuclear-weapons program, he takes the pressure off North Korea…….. They want to basically clear the decks by shoving this waste off to the side so that they can use this territory, which is crown land owned by the Government of Canada, in order to develop a whole new generation of small modular reactors which are also pie-in-the-sky. They don’t have any customers at the present time. They say there’s a great deal of interest in small modular reactors. However, the interest is almost totally confined to the nuclear establishment. It’s the nuclear people who are interested in these small modular reactors, nobody else. In fact, we’ve had bad experience with small modular reactors Canada. We had two ten-megawatt nuclear reactors designed and built. They were built around the year 2000, and each one of these reactors was supposed to be able to replace the very old NRU reactor at Chalk River, which is the largest isotope production reactor in the world. And each one of these reactors—they’re called maples, the maple reactors—each one of them would be able to take over the workload of the already-existing NRU reactor which is now shut down. They couldn’t get either one of them to work properly. They were so unsafe, and so unstable in their operation that without operating them and after having spent hundreds of millions of dollars in building them, they now are dismantling them without ever having produced any useful results. They also had here in Canada a design called a “slowpoke district heating reactor,” and this reactor was ranging from ten megawatts to a hundred megawatts, thermal power only, no electricity, and the idea of this was it could be a reactor which could supply district heating for buildings and so on. That was also a complete failure. That was back in the last century in the 80s and 90s in Canada. They tried to give these things away for free, and they couldn’t even give them away for free. Nobody wanted them. Japan vows to cut its nuclear hoard but neighbours fear the opposite, Japan has amassed a large stockpile of plutonium and neighbours fear that the country may decide to build more nuclear weapons. By Motoko Rich, 25 Sept 2018 New York Times, More than 30 years ago, when its economy seemed invincible and the Sony Walkman was ubiquitous, Japan decided to build a recycling plant to turn nuclear waste into nuclear fuel. It was supposed to open in 1997, a feat of advanced engineering that would burnish its reputation for high-tech excellence and make the nation even less dependent on others for energy. Now, Japan Nuclear Fuel Ltd, the private consortium building the recycling plant, says it really is almost done. But there is a problem: Japan does not use much nuclear power anymore. The country turned away from nuclear energy after the 2011 Fukushima disaster, and only nine of its 35 reactors are operational. Japan pledged for the first time this past summer to reduce the stockpile, saying the recycling plant would convert the plutonium into fuel for use in Japanese reactors. But if the plant opens as scheduled in four years, the nation’s hoard of plutonium could grow rather than shrink. “At the end of the day, Japan is really in a vice of its own making,” said James M. Acton, a researcher at the Carnegie Endowment for International Peace in Washington. A handful of countries reprocess nuclear fuel, including France, India, Russia and the United Kingdom. But the Japanese plan faces a daunting set of practical and political challenges, and if it does not work, the nation will be left with another problem: about 18,000 metric tons of nuclear waste in the form of spent fuel rods that it has accumulated and stored all these years. Japan’s neighbours, most notably China, have long objected to the stockpile of plutonium, which was extracted from the waste during tests of the recycling plant and at a government research facility, as well as by commercial recycling plants abroad. Most of this plutonium is now stored overseas, in France and Britain, but 10 metric tons remain in Japan, more than a third of it in Rokkasho, the northeastern fishing town where the recycling plant is being built. Japan says it stores its plutonium in a form that would be difficult to convert into weapons, and that it takes measures to ensure it never falls into the wrong hands. But experts are worried the sheer size of the stockpile — the largest of any country without nuclear weapons, and in theory enough to make 6,000 bombs — could be used to justify a nuclear buildup by North Korea and others in the region. Japan maintains that its plutonium is for peaceful energy purposes and that it will produce only as much as it needs for its reactors. “We are committed to nonproliferation,” said Hideo Kawabuchi, an official at the Japan Atomic Energy Commission. But the launch of the Rokkasho plant has been delayed so long — and popular opposition to restarting additional nuclear reactors remains so strong — that scepticism abounds over the plan to recycle the stockpile. Critics say Japan should concede the plant will not solve the problem and start looking for a place to bury its nuclear waste. “You kind of look at it and say, ‘My God, it’s 30 years later, and that future didn’t happen,’” said Sharon Squassoni, a nonproliferation specialist at George Washington University. Engineers have repeatedly revised the design of the plant to address water leaks and earthquake safety, and it took years to develop a safe way to dispose of hazardous byproducts. After the Fukushima disaster, government regulators demanded even more safety measures. cut fossil-fuel emissions, a key cause of global warming. dwindling ice-caps and increases in the number of devastating storms. We have to create such a social movement that the press cannot ignore it, and then the press starts reporting. I think you appear sometimes on CBC and they give you five minutes or ten minutes, so has any of that sort of transformed into journalists picking up the issue and working with it more seriously, or politicians bringing up the issue in parliament? We live in a very scattered society right now with what’s going on with President Trump in the United States, and what’s going on with the media. The concentration of ownership of the media, the elimination of a lot of independent journalism, like neighborhood newspapers and that sort of thing, community newspapers. Even within the mainstream media there is the idea that journalists are now being shunted into media conglomerates where the reporting is expected to go simultaneously into numerous papers, and so this makes it more and more difficult for these kinds of things to be done. However, as I point out to my friends, we’ve had many, many examples like, for instance, apartheid South Africa, or the Soviet Union before its demise, where there was no free press, and yet people got things done. The thing is that I don’t think the absence of a vital press should be a serious obstacle. I think we have to use whatever tools we have available to us, and we in North America have all kinds of freedom to express ourselves, and so we have to use what tools are available to us. For example, we’ve had many victories. 19. VictoriesI could tell you a few stories because without knowing specific examples, it all sounds very airy-fairy. It all sounds very theoretical, but, for example, we have Bruce Power, which is a private company that rents publicly owned nuclear reactors in Ontario, eight of them, and operates them for profit. They wanted to ship sixteen contaminated steam generators through the Great Lakes and through the Saint Lawrence Seaway and across the ocean to Sweden for their convenience basically. It was for their convenience so that they could have these things dismantled in Sweden. And also some of the radioactive left leftovers would be in fact secretly blended, and I say secretly. They would not reveal the names of the companies involved. Those are secret because those companies would not want the public to know what they’re engaged in. And that was actually recorded in public hearings. They wanted to secretly blend some of this less radioactive metal with non-contaminated metal. So they wanted to deliberately contaminate scrap metal. They wanted to deliberately contaminate the scrap metal market without any knowledge or notification that this scrap metal contained post-fission radioactive waste. And of course more and more of this is going to be happening as time goes on. So we managed to stop that, and we managed to stop that through very word-of-mouth methods. We managed to get hundreds of communities passing resolutions against it on both sides of the border, both in the United States and Canada. We got lawmakers in the United States sending letters objecting, and the press was never playing a leadership role in this, but as the story became more interesting they would report on it just because it’s a good news story. But to expect the press to play any leadership role is dreaming in technicolor, I think, especially in today’s world. We have to create such a social movement that the press cannot ignore it, and then the press starts reporting. And the same thing goes with the government. In certain respects you could say that our government leaders are not leaders. They’re followers, and the largest voices, the loudest voices are usually the voices of industry, and so they follow what they’re being told by industry or by other countries, big players like the United States, for example, but occasionally the public voice becomes loud enough that it drowns out the industrial voice or at least rivals it. In those cases a government can finally act, in their own self-interest, but not totally in their own self-interest. I hope that there’s a glimmer of concern, genuine concern about the future and the environment and doing the right thing. But you’ve got to have a combination. It’s often said, for example, in lawsuits that behind the technical judgment where a judge might make some technical decision which lets somebody off the hook or which convicts somebody of some crime, there’s often a non-technical reason behind. Certain evidence has been heard and certain issues have been raised which, if a judge is touched by those issues, and feels that this is a case which deserves very careful consideration, then without breaking the law or even bending the law, the judge can find some legal aspect which will allow her or him to do the right thing. That’s not the judge’s main prerogative. His or her main prerogative is to ensure that the law is obeyed, and that can be done, but there has to be some kind of a conscience involved there, too, and I think there often is. I think it’s the same thing with government. As I’ve said to people here, even if you yourself were the Minister of Energy all of a sudden, you couldn’t just do what you wanted. You have to have the support of your colleagues in cabinet. You have to have the support of people who have contributed to the party, and so on. These are all considerations, but if you have a vocal public who are clamoring to have something done, and it’s something you agree should be done, it strengthens your hand as a political person to be able to enact a law or to be able to take some political step which can be justified to colleagues. I don’t know if I’m making much sense here, but we’ve had some very good examples of this, not only with the steam generators. 20. Cross-border activism for environmental protectionI’ll give you one other example. In Vermont, the US Department of Energy were hunting for a repository in crystalline rock for high-level radioactive waste. This is back in the 90s. We had a busload of people here from Quebec who went down to Vermont and participated in public meetings and so on, and the Vermonters were delighted to see us there. And we raised some very pointed questions which the industry found difficult to answer. For example, the first question I asked at a public meeting was, “If this project is so safe, why is low population density one of your criteria?” And the man from the Department of Energy said that’s a good question, and he went red in the face, and he couldn’t give an answer. So this thing blew up until the point where we had many public meetings in Vermont and we, as Quebecers, were invited to attend, and the US Department of Energy said, “Look, we have no choice. We have to obey the law, and the law has been written by the US Congress, the highest law of the land, and they passed a law saying that there will be a repository in crystalline rock in the Northeast United States, so don’t blame us. We can’t just snap our fingers and say we’re not going to do this.” But the voices of the people were so strong, and what really happened here was that it became an international incident because a lot of the people who were interacting within this debate were from the Eastern Townships of Quebec, Sherbrooke in particular, and the Member of Parliament from Sherbrooke was Jean Charest, who subsequently became the premier of Quebec. He was at that time a federal member of parliament. He went to his bosses in his own party, and who were the ruling party at that time, and they had a diplomatic note delivered to the Americans through the Canadian ambassador in Washington, saying that Canada would not look kindly on a nuclear waste repository right on our border where the water flows into Canada from the United States. So to make a long story short, what happened was the impossible was done. The law was rewritten, and there was no repository in Vermont. Now you might say, “Well, that’s just postponing the problem or pushing it off.” True. But it’s a victory for us, and it shows that people, when they get themselves mobilized, can really have an effect on events, and we’ve had many successes of that sort, here in Quebec, in particular, and we hope to have many more. But the purpose is not to pursue a NIMBY idea (not in my backyard). The purpose is to call attention to the fact that this whole exercise is really an exercise based on dishonesty. It’s based on the dishonest claim that they in fact know what they’re doing, and that they in fact know that this will be a solution. It is really the survival strategy for the nuclear industry rather than a strategy that will ensure the safety of future generations. So we don’t feel that we’re acting in bad faith. We feel that we’re acting in good faith, and we’re doing our best to enlighten people as to the nature of this bad deal, and the nature of the fact that the wrong people are in charge of the program. Japan vows to cut its nuclear hoard but neighbours fear the opposite, By Motoko Rich, 25 Sept 2018 New York Times, “………Pulling the plug would also deprive one of Japan’s poorest regions of an economic lifeline. Over the years, the central government has awarded nearly $3 billion in incentives to the prefecture, where political leaders reliably support Japan’s governing party. Even inoperative, the plant employs more than 1 in 10 residents in Rokkasho and accounts for more than half the town’s tax revenues. “It is now indispensable for Rokkasho,” said Kenji Kudo, the fourth generation to run his family’s clothing distribution company, which sells uniforms and protective gear to the plant. As demand from local squid fishermen disappeared, he added, the plant “rescued our business.” The town has also received more than $555 million in government subsidies for hosting the facility, including funding for a 680-seat concert hall, an international school with just eight students and a new pool and gym complex that opened last year. There are small reminders that the munificence comes with some risk. The plant itself is sprawled across nearly 1,000 acres of farmland, surrounded by fields of solar panels and wind turbines. Some 6,000 workers are installing steel nets to protect it against tornadoes and digging ditches for pipes to carry water from a swamp into its cooling towers. Inside a large control room, workers in turquoise jumpsuits mill about computer consoles, monitoring dormant machinery. The final piece of the plant to come online will be a facility, now under construction, that will take a mix of plutonium and uranium and turn that into fuel. But no one knows what would happen if the government could not persuade communities to reopen and upgrade more reactors to use this type of fuel. “Our only plan right now is that we want to start reprocessing in 2021,” said Koji Kosugi, general manager for international cooperation and nonproliferation at Japan Nuclear Fuel. One of the reasons Japan is so wedded to recycling may be that it does not want to confront the politically toxic question of what to do with its nuclear waste, much of which is being stored temporarily in cooling pools on the sites of its nuclear power plants. One option, said Tatsujiro Suzuki, a nuclear scientist at Nagasaki University, is to turn Rokkasho itself into a nuclear waste storage facility. Nuclear plants across Japan have sent waste that cannot be recycled to Rokkasho — steel drums full of ash, contaminated filters, steel pipes and protective clothing. Huge concrete boxes holding the drums are lined up in vast dugouts on the grounds of the plant, and canisters holding highly radioactive waste are stacked nine deep in a cavernous underground room where only their bright orange lids poke out of the floor. The government promised that the waste would only be stored here temporarily but never came up with a permanent plan. In Rokkasho, residents are still waiting for the recycling plant.